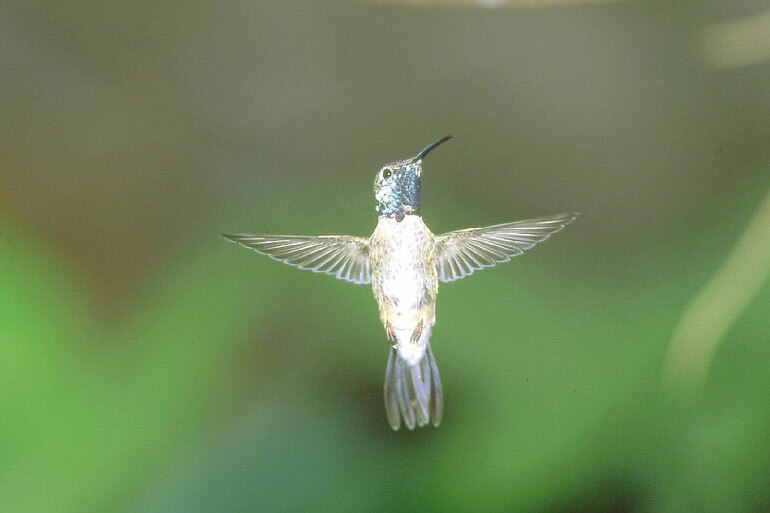 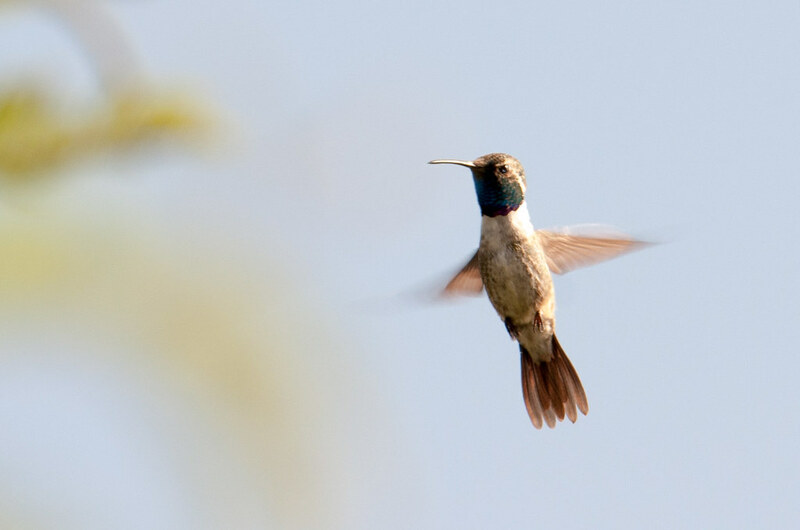 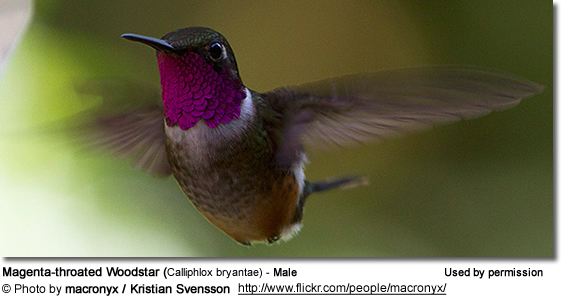 Purple-collared woodstar hummingbird (Myrtis fanny) in flight (male). 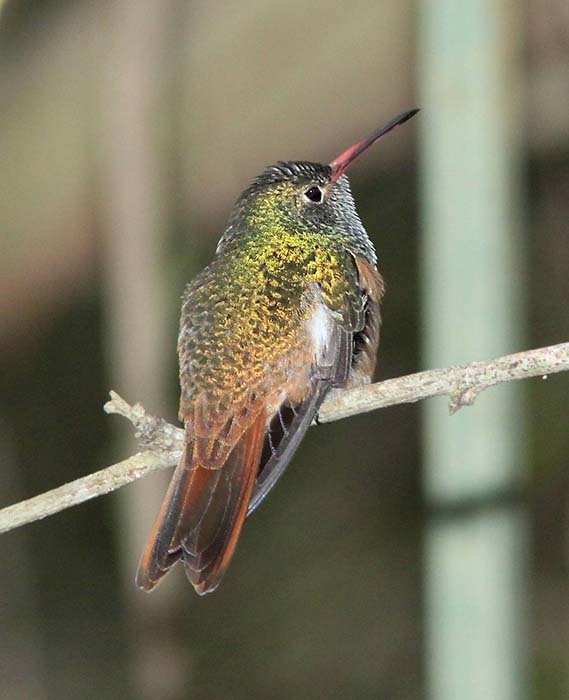 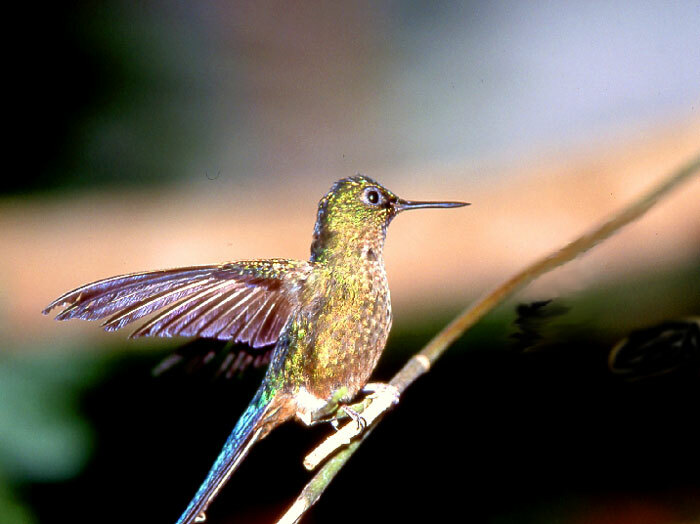 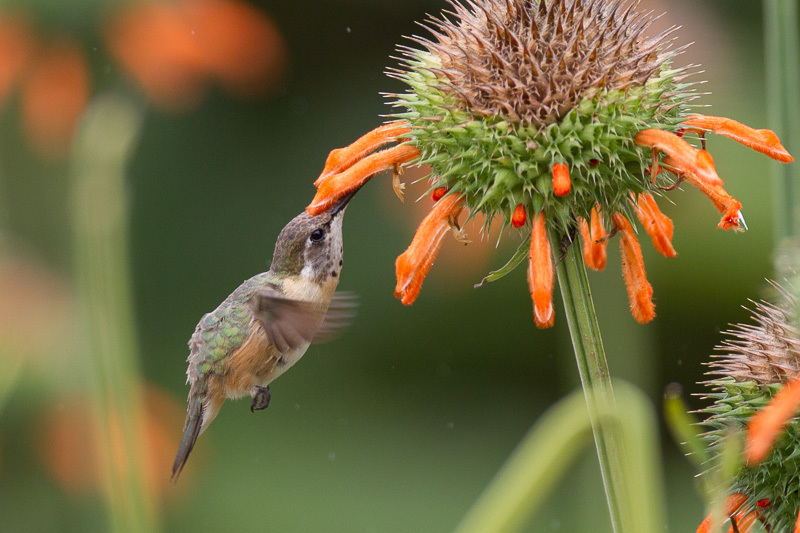 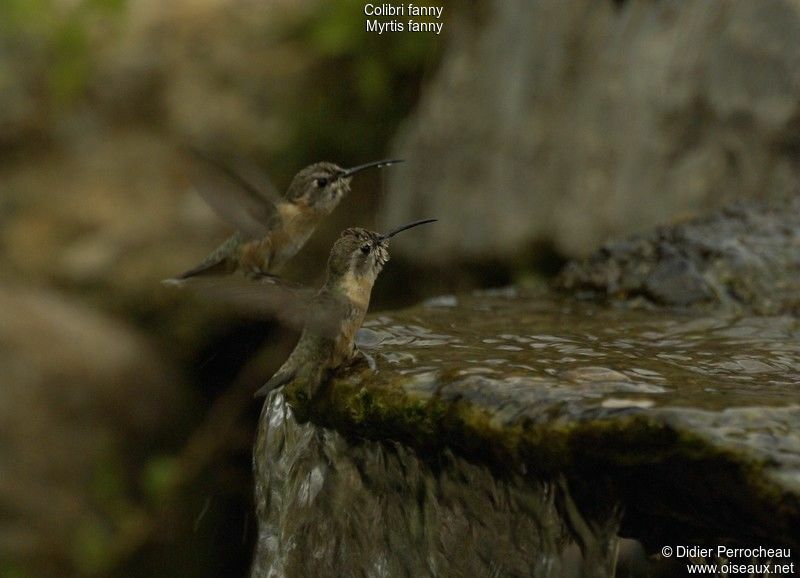 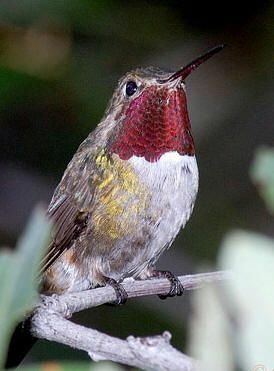 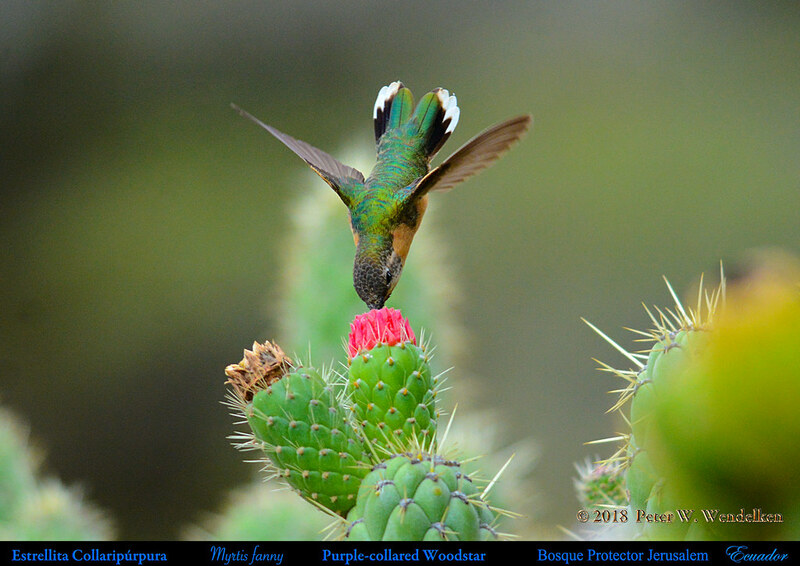 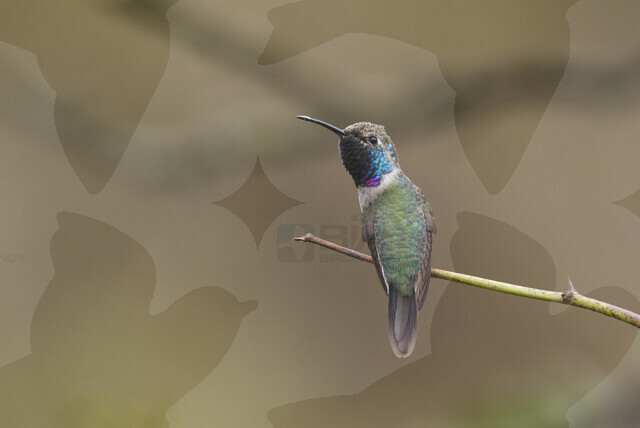 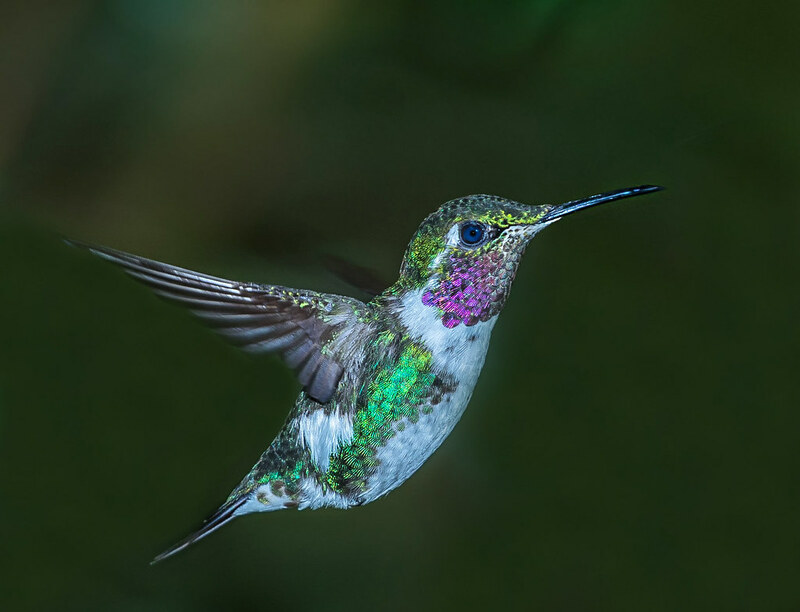 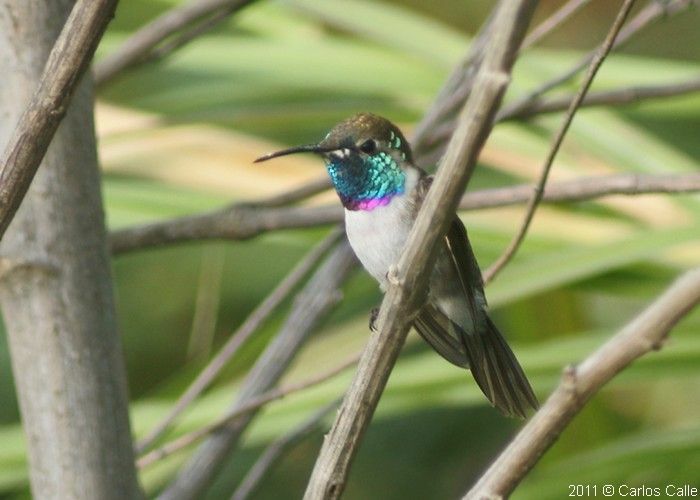 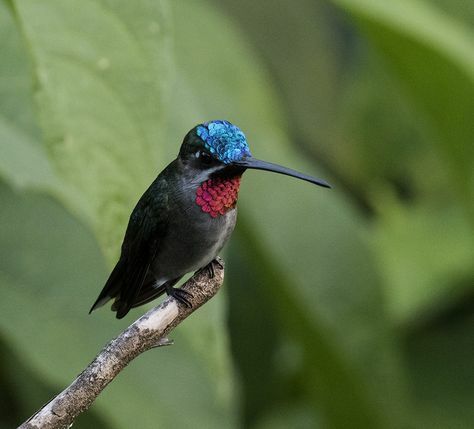 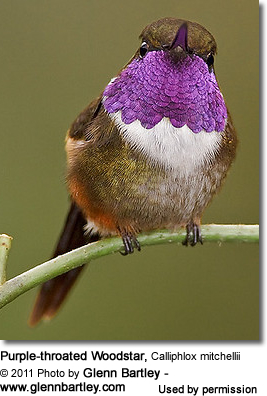 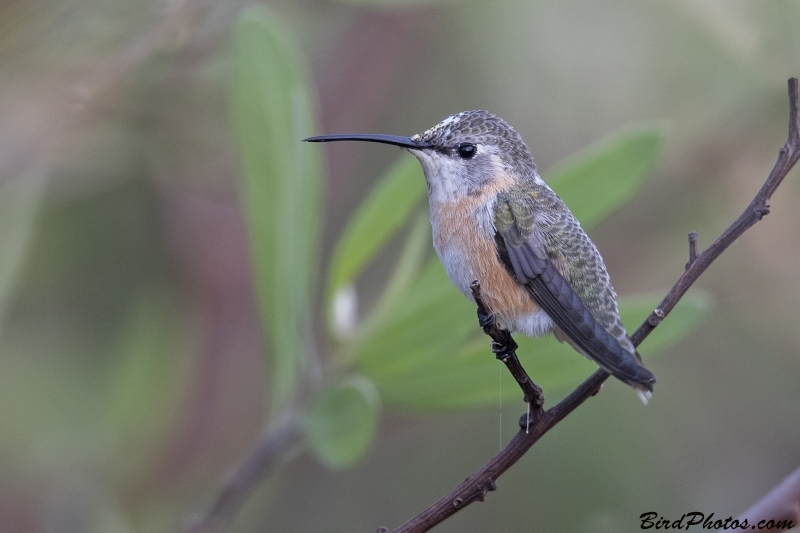 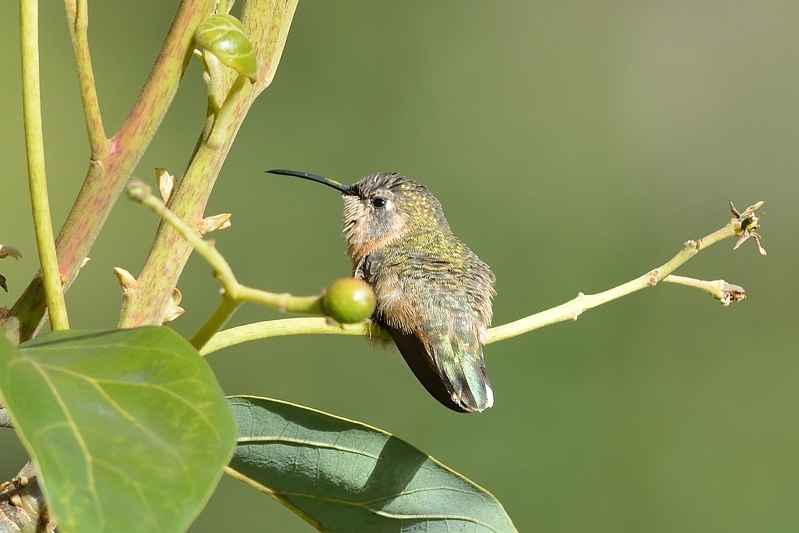 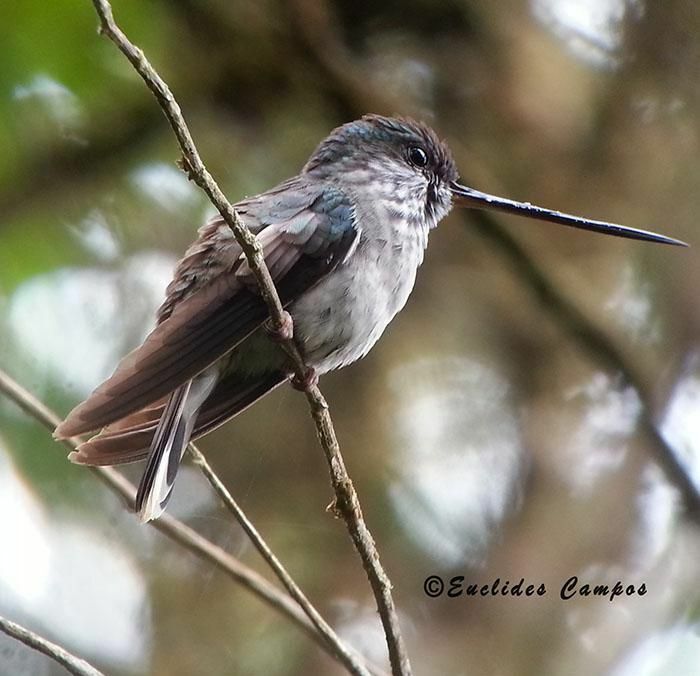 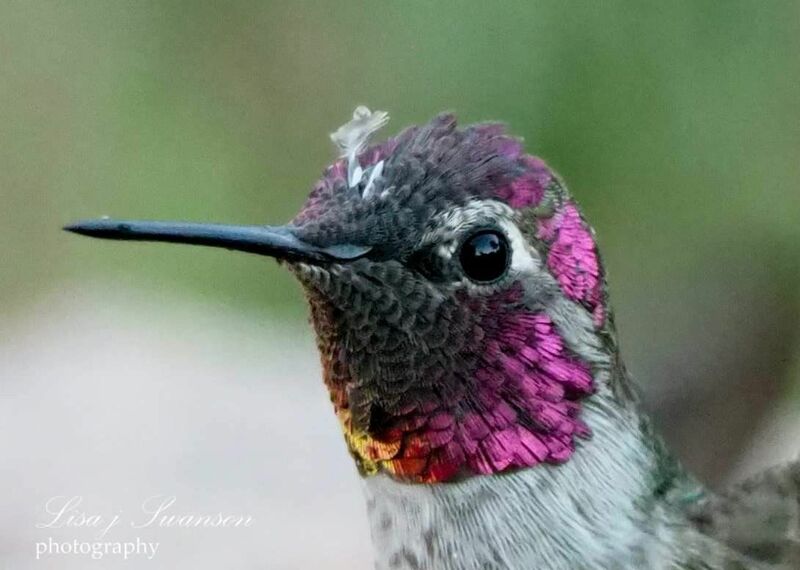 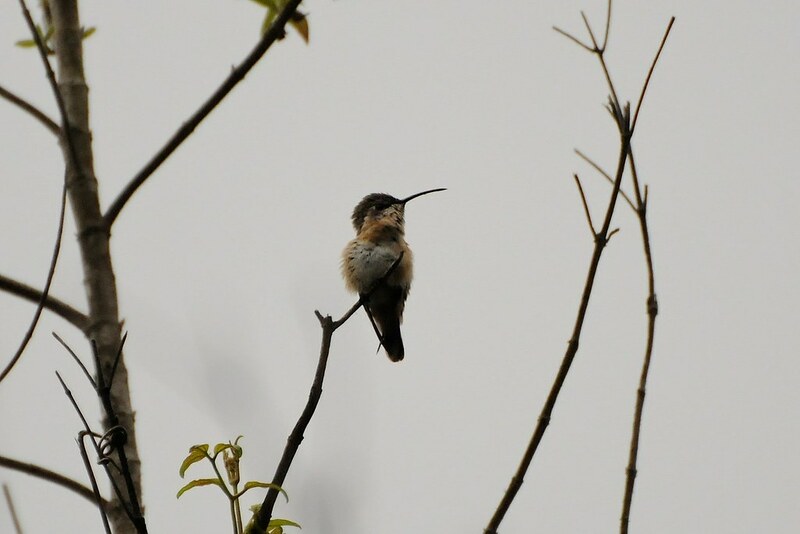 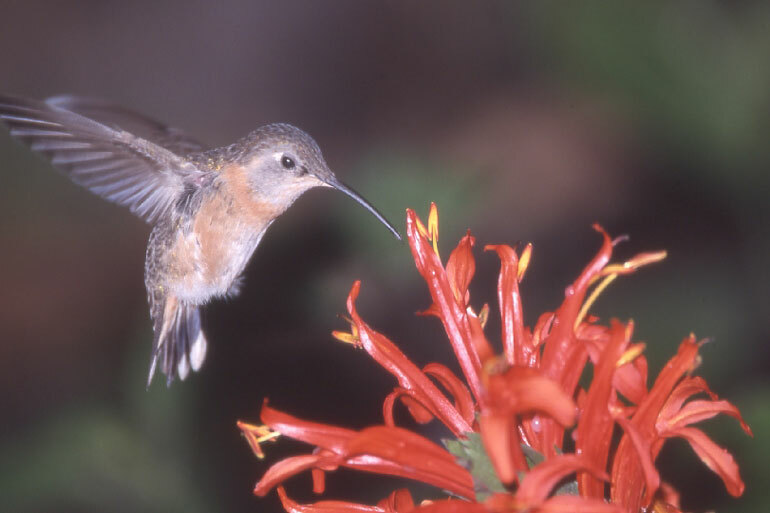 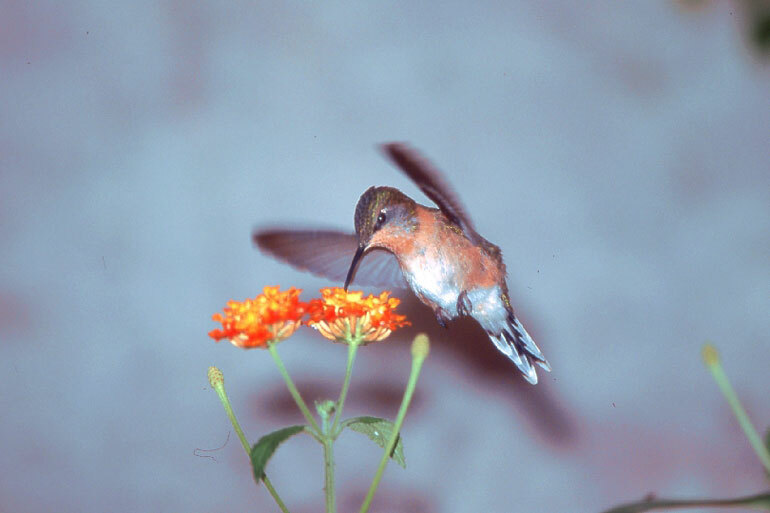 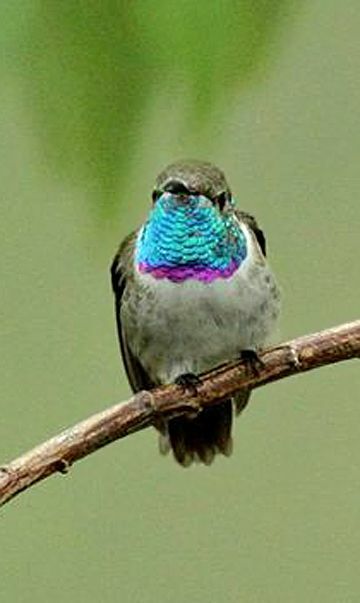 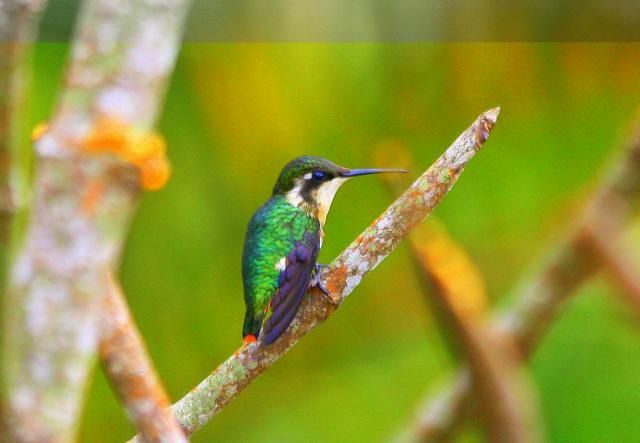 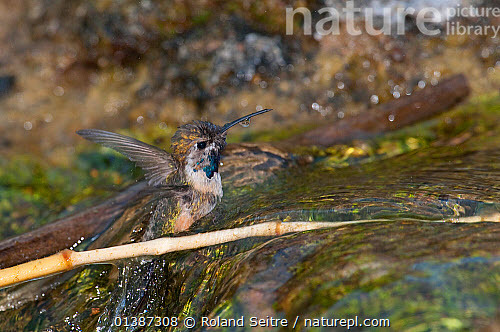 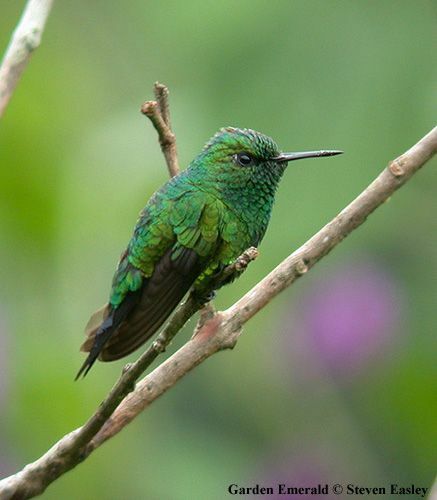 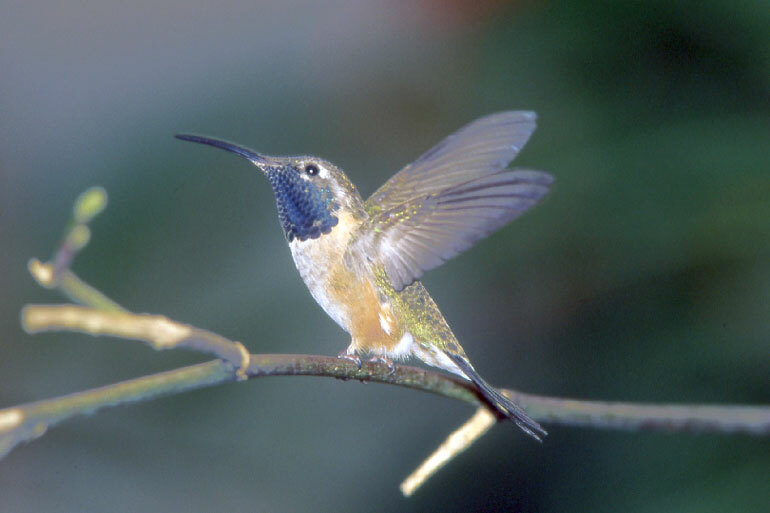 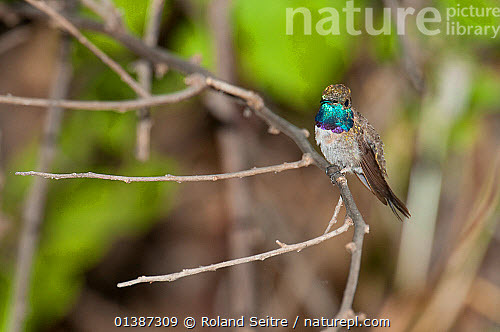 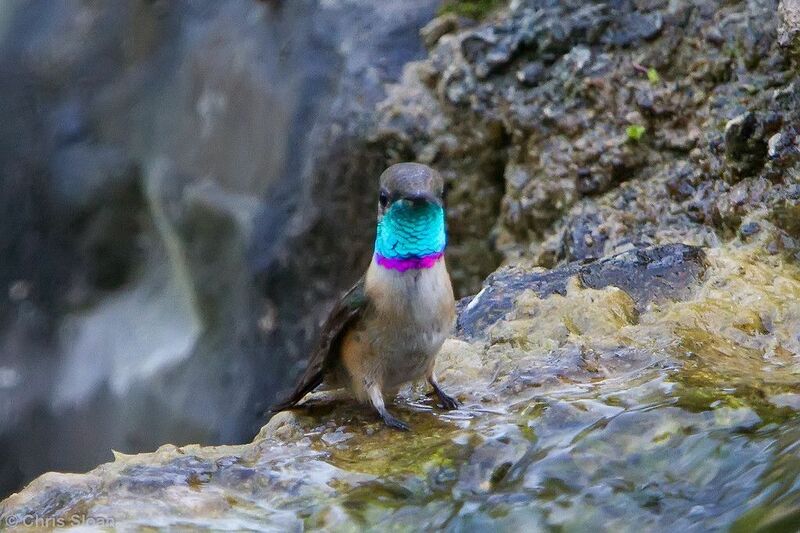 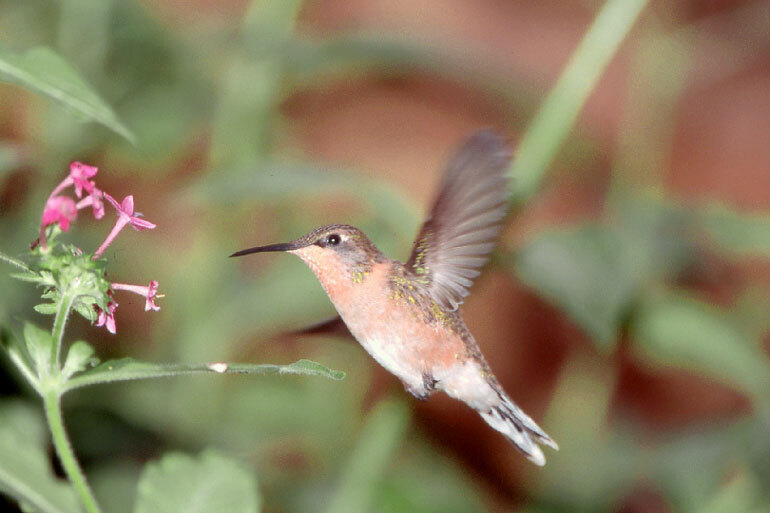 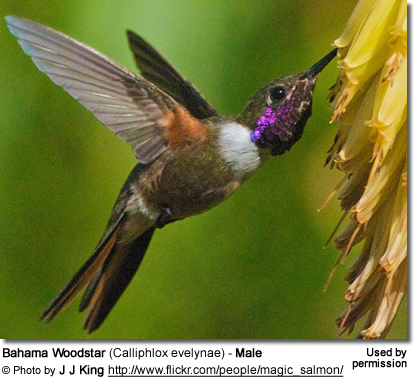 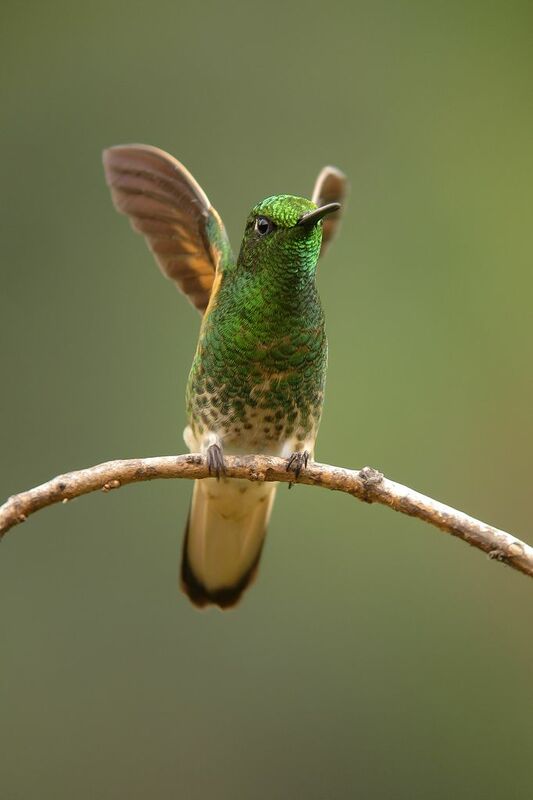 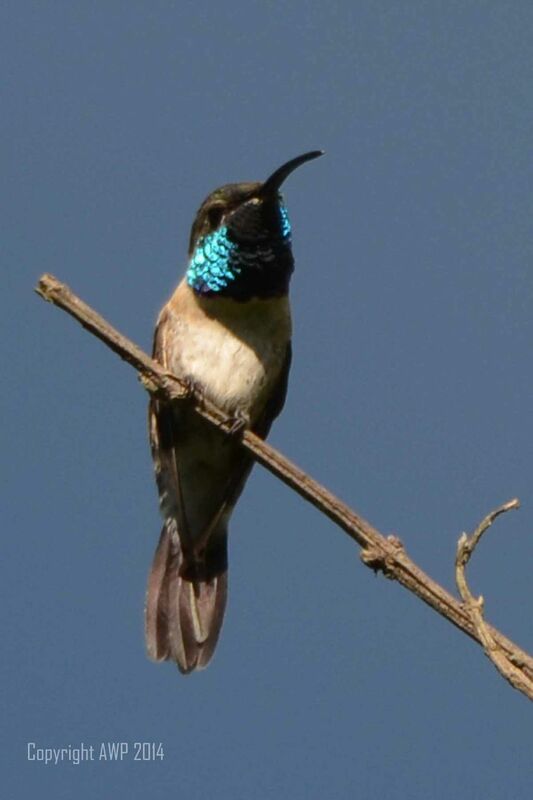 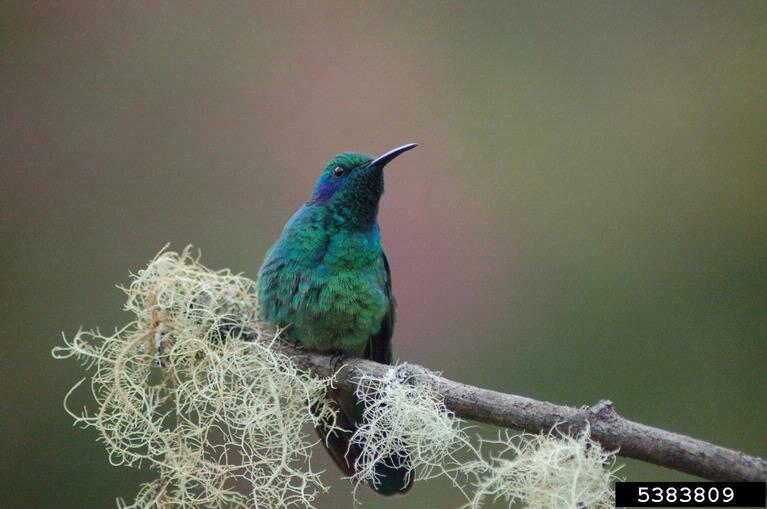 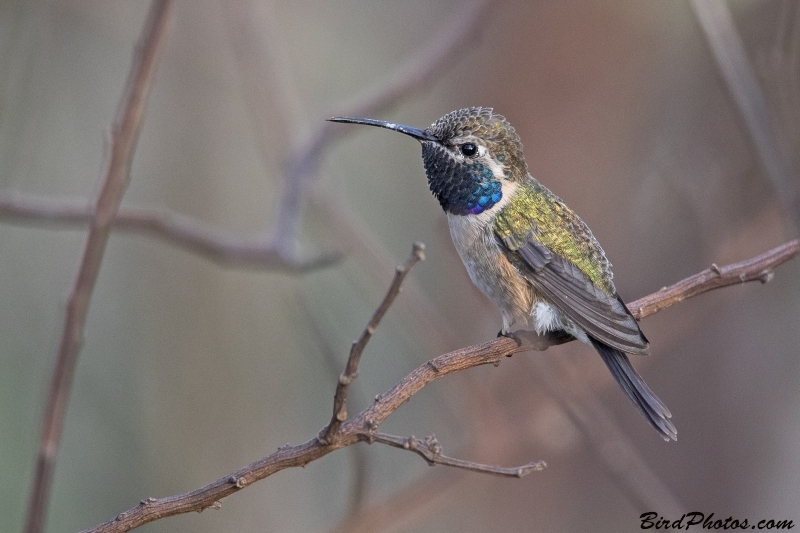 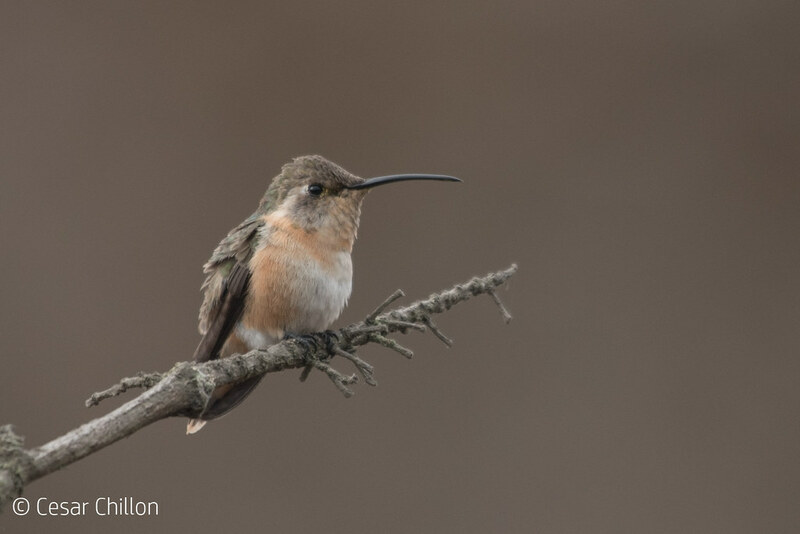 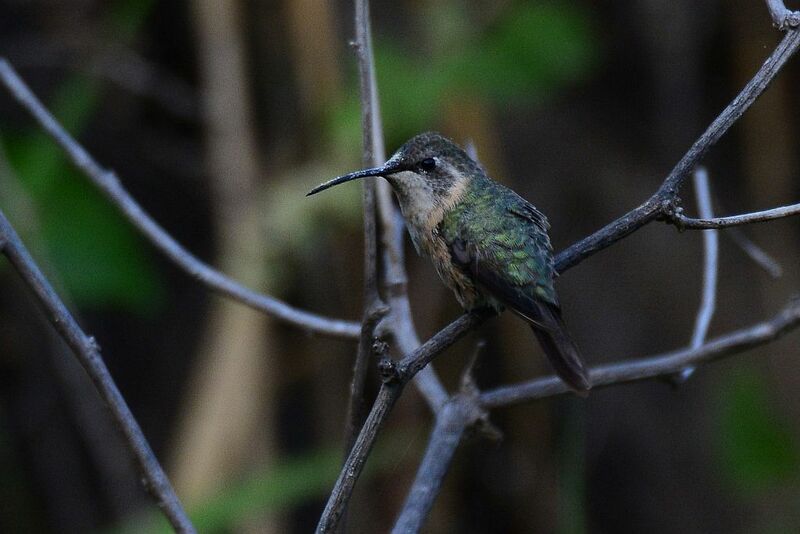 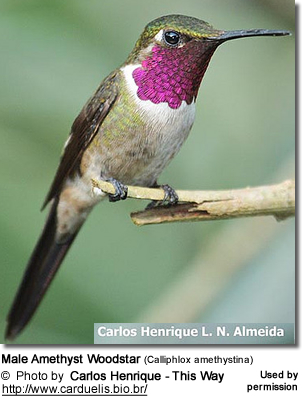 Purple-collared woodstar hummingbird (Myrtis fanny). 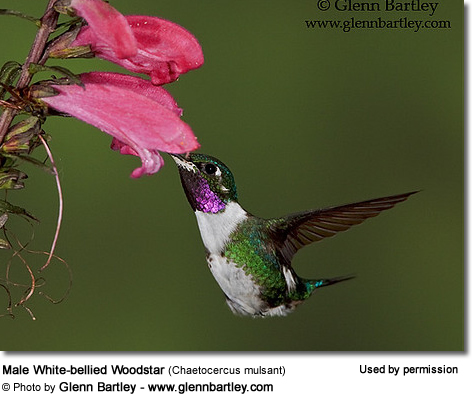 Purple-collared woodstar hummingbird (Myrtis fanny) while it's sucking nectar from a flower (female).